Israeli scientists and researches have been at the forefront of extensive studies on cancer and cancer treatment over the past several decades. With the disease being the main cause of death in Israel, universities, medical centres, hospitals, and labs have taken the lead in developing innovative care plans and undertaking sophisticated research to help advance understanding and knowledge of cancer, of which there are over 100 types, and for which there is no known cure. 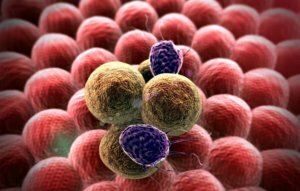 Israeli scientists at the Technion-Israel Institute of Technology have successfully treated a cancerous tumour, eradicating its cancer cells using a “nano-factory” – a synthetic cell that produces anti-cancer proteins within the tissue, the Technion announced in February. After experimenting with the synthetic cells in a lab, the technology was tested on mice where the proteins produced by the engineered particles eradicated the cancer cells once they reached the tumour, the Technion said. 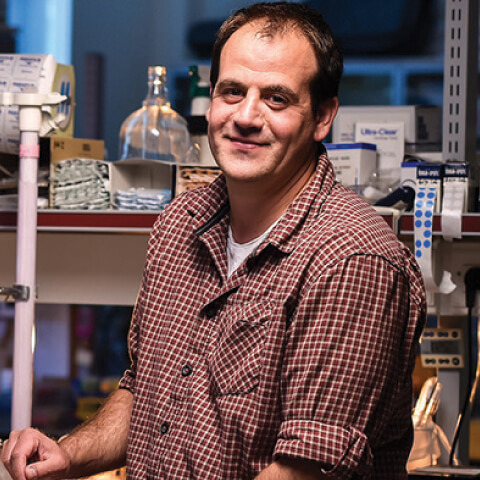 Assistant Professor Avi Schroeder at the Wolfson Faculty of Chemical Engineering at the Technion who co-led the research with doctoral student Nitzan Krinsky said, “By coding the integrated DNA template, the particles we developed can produce a variety of protein medicines. They are modular, meaning they allow for activation of protein production in accordance with the environmental conditions. “The artificial cells we’ve developed at the Technion may take an important part in the personalised medicine trend – adjustment of treatment to the genetic and medical profile of a specific patient,” he added. Also at the Technion, Israeli scientists announced this year that they have developed technology that enables drug delivery to target diseased tissue only, using light and gold particles, which can be used to make cancer treatments, for example, more effective. The system harnesses the particles to specifically target the affected tissue, like a tumour, rather than dispersed throughout the body which is often harmful, the university said. “A prime example of this is the use of chemotherapy drugs, which work to block cell division, causing hair loss and bowel issues in cancer patients (hair growth and waste elimination both depend on rapid cell turnover),” the Technion said in a statement. The scientists are aiming to tackle head and neck cancers specifically, because “a major problem in the treatment of those cancers is their resistance to traditional radiotherapy,” Aron Popovtzer, a clinical professor of oncology at the Sackler Faculty of Medicine and the Tel Aviv University, who led the study, told the Times of Israel in February. The non-invasive drug-release method uses a unique polymer coating that contains nanoscale gold particles along with the drug itself, the Haifa-based university said. The drug only releases when a light shines on the gold particles, causing the polymeric coating to melt. The drugs are injected into the bloodstream but only activated at the targeted location, using the external light on the gold particles to find the location of the affected tissue. Continue reading about the other leading breakthroughs in cancer research and detection on NoCamels. Words taken from the article published on NoCamels on April 12, 2018. Study at Technion and start your future here! 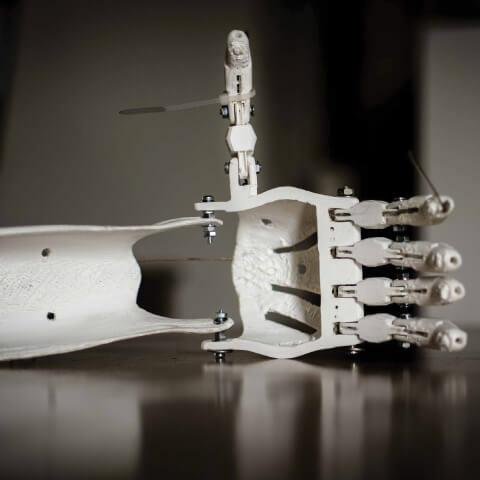 Your future in science and entrepreneurship starts here. Experience high-level academics and hands-on learning in a supportive yet challenging environment. 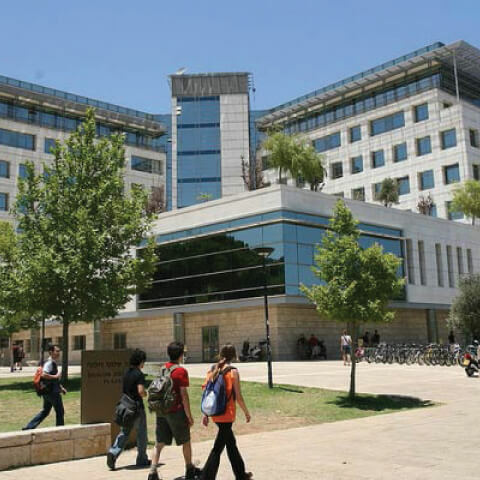 Earn your degree at Technion in English. Come study at Technion for your bachelor’s degree in English and join students from over 50 countries. 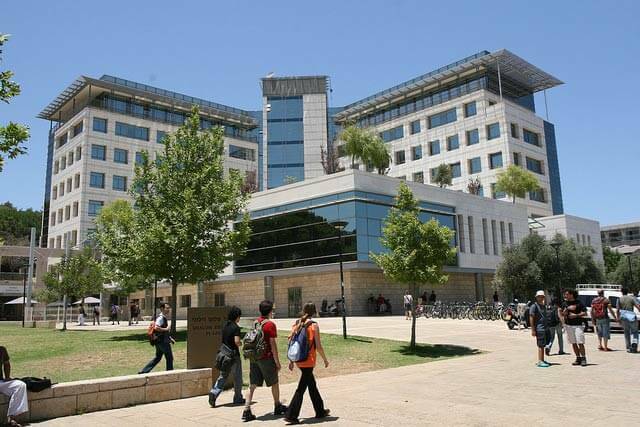 We invite you to visit the magnificent Technion campus in Haifa, located on the eastern slope of Mt. Carmel. The campus offers the opportunity to explore world-class science and technology and to meet the people of the Technion including world-renowned professors and brilliant students who are shaping the country’s future. There are many opportunities to tour the campus as part of a group or on an individual trip. Please explore the options below and contact us if we can be of assistance. If you will be in Israel for a family celebration or on business, you may organize a private tour of the campus. The Coler California Visitors Centre will welcome you and arrange your visit. Should one think the Technion is only about science, take a walk on the Technion Sculpture Trail. Nearly two-dozen outdoor sculptures by major Israeli artists share the 327-acre campus, offering visitors art and the outdoors at the same time.